dopl3r.com - Memes - 4 years ago i asked my first tinder match out on a date. Today I asked her to marry me. She said no both times. So heres a picture of a random couple from google. 4 years ago i asked my first tinder match out on a date. Today I asked her to marry me. She said no both times. 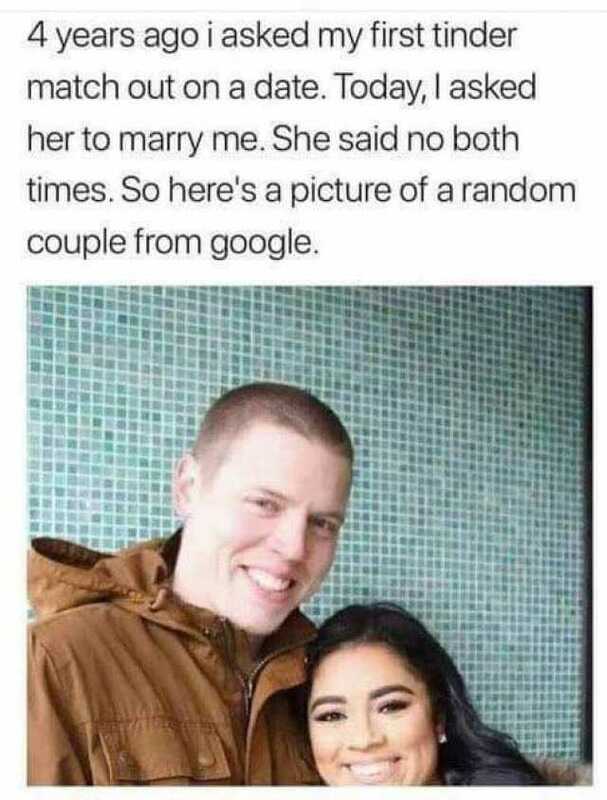 So heres a picture of a random couple from google.